You would think that now that my kids are grown I wouldn't get so excited about Halloween, but every year I'm just as excited as the year before! It's just tons of fun in the Village with all the kids and their parents (our friends!) coming by. This morning I was recalling how special it was two years ago when the Irish kids were stranded here because of Hurricane Sandy in NYC (disappointing for them, fun for us), and they all came over to our house and raided the "dress up" box to find something to wear to go trick-or-treating. Then, they all gathered back here for snacks and one of them sat down at the piano and they all began to sing. Crazy Americans! Wonderful memories! Anyway, tonight we will take up our perch on the porch and greet the little ghouls and goblins (and princesses and pirates) that come up the steps. Stay safe, all! I think most of the fall travel on the weekends is winding down. Yesterday we ran the roads again to Saratoga for the "The Head of the Fish," on what turned out to be an extraordinarily beautiful day for racing. Cam made out pretty well, coming in 5th out of 22 boats. He was disappointed, though, as he was so close to a bronze medal (3rd place). Still, a respectable showing. 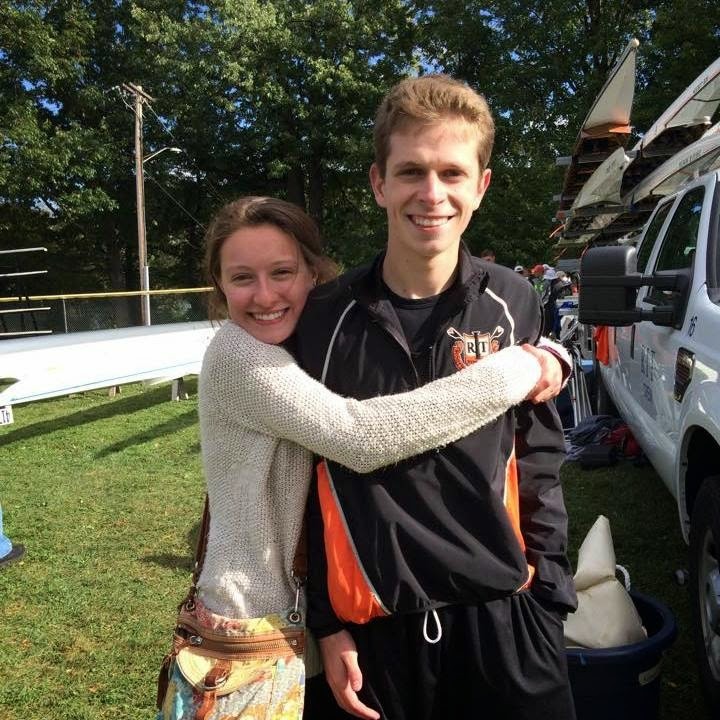 He's gotten a lot of time on the water this season, so it's been worth it to go to his races/regattas. 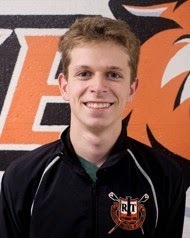 With the exception of a race against the University of Rochester next weekend, just the spring season remains until he finishes his time with RIT crew. As an aside: It's official ~ Cam is continuing on with his Master's degree in Bioinformatics at RIT, starting in the fall. It should take him about a year and a half to complete. We're glad he's taking that route. Don't you think America has gone a little overboard with Pumpkin Spice this-and-that? Wow, am I sick of pumpkin spice. 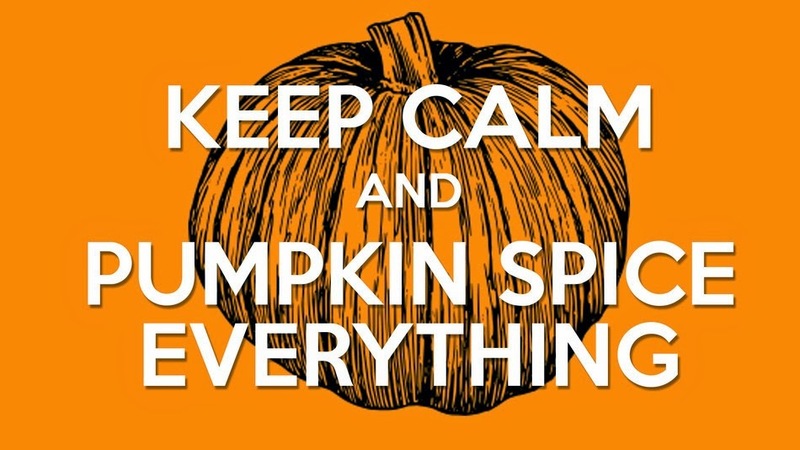 Here are the 29 super ridiculous pumpkin spice products. I'm thinking I could totally do without PS pringles, burgers (YUCK) and jerky. But the PS vodka and pasta sauce sound interesting. I'm not sure I want Jasper walking around smelling like a big spicy pumpkin, however. Last week I went to Trader Joe's and picked up pumpkin spice bagels and PS cream cheese spread. They are seriously delish. I noticed Trader Joe's really embraces the whole pumpkin spice thing, and somehow the stuff they offer actually appeals to me. Maybe it's just because I love Trader Joe's. In case you missed it, somewhere in the last week or two the Fabulous B@ker Blog hit 25,000 visits. Keep on readin' B@ker Blog-iverse!! I've written several times on the blog about how much I enjoy visiting Chicago (here,here and here). Not that I've been there a ton of times - last weekend was just my fourth - but I knew after my last trip I really wanted to return and make sure Mark was with me. In other words, I wanted to visit Chicago for pleasure, not business!! 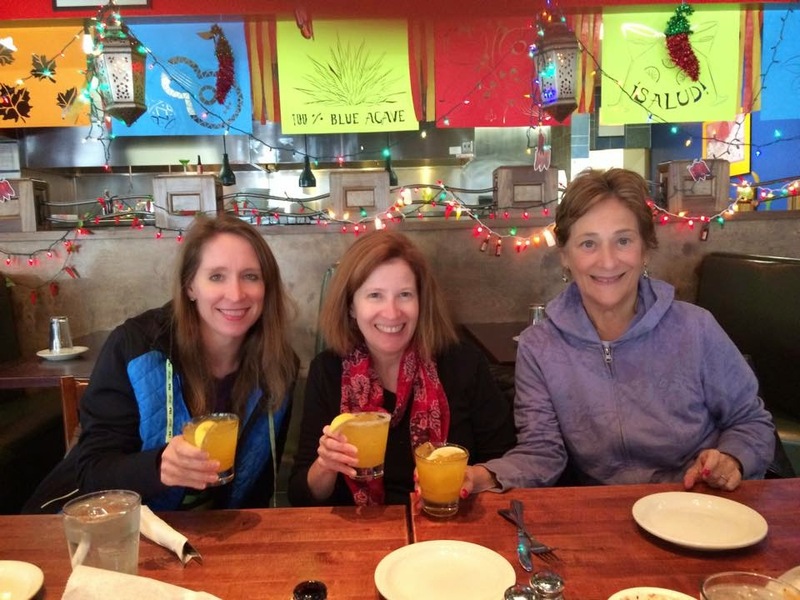 So, when I mentioned to my friend, Joanne (who lives in Chicago) that we really wanted to come for a visit, she suggested we come the weekend of the Chicago Marathon (Sunday, October 12) when my other friend Kristen would also be visiting to take part. So, off I went hunting for an affordable hotel so we could stay right downtown and really take advantage of some of the hot spots. We ended up staying at the Talbott Hotel, a nice, old boutique hotel on Delaware Avenue, two blocks from Michigan Avenue ("The Miracle Mile"). The blog catch up continues...here's the Libra birthday roundup! 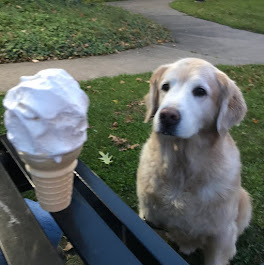 The first weekend in October my "baby" turned 19! Unbelievable! It is so nice having her so close as we were able to attend Cam's regatta in the morning on October 4 (Nic's 30th birthday!! ), jumped in the car, drive to Syracuse, pick her up, come back to Rochester and catch Cam's second race in the afternoon. Whew! No wonder I'm feeling so tired with all the running around we do! Okay, where was I...? Oh yes! Girl's Weekend!! 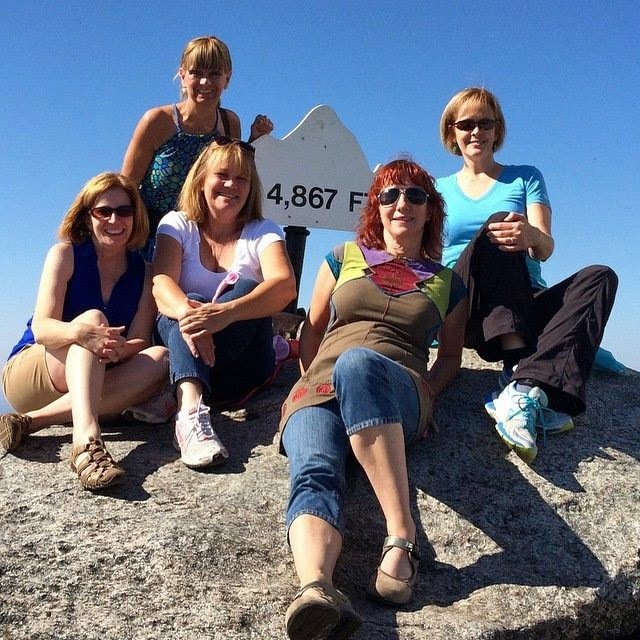 The last weekend in September, Sue, Lorie, Gina, Heather and I embarked on our 11th annual girls weekend, this year to Lake Placid, site of the 1980 Winter Olympics (Miracle on Ice, anyone?). Just an aside before we get started: How can it be that I grew up 1 1/2 hours from Lake Placid and DID NOT go to the 1980 Winter Olympics??!! We stayed at the Golden Arrow Resort, which was the perfect place to stay - right on main street near the shops and restaurants, overlooking Mirror Lake. Our suite opened up to a patio with furniture, where we spent quiet time just chatting and enjoying the view. Our friend, Clare, could not make it to girl's weekend, so Laurie ingeniously created a stuffed "Clare" who seemed to get into tons of trouble all weekend (hanging out in the bar...so drunk she needed to be carried home, flirting with the guy in the room next door). As usual, there was tons of laughter! Sorry for no posts. Honestly, I've been super busy traveling (and working late) for work and pleasure, and have not had much leisure time (read: sit around and update the blog) for the last several weeks. I both love and hate that about the fall. Whew! That's going to be a long one! Check back! !